How to bind data table in the SfChart? 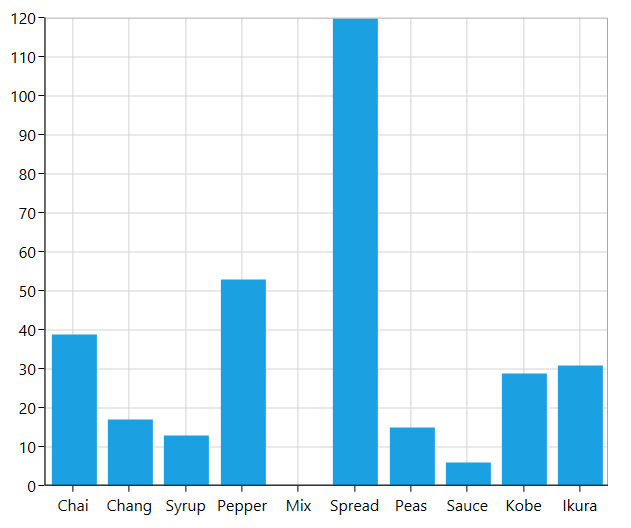 The DataTable type can be bound to the ItemsSource property in ChartSeries. The following code example illustrates how to bind the data tables in ChartSeries. Figure 1: ColumnSeries renders based on data table fields. So after linking the database to the chart, how do you go about loading data from the database in real or quick time? We have analyzed your requirement and you can achieve this by changing the DataTable collection, which is bind to series ItemsSource as per the below code snippet. We have prepared a sample based on this, please find the sample from the following location.